The Honeywell WREX (Wi-Fi Repeater Extender) is designed to enhance connectivity within a wireless Wi-Fi network. The WREX functions as wireless repeater that communicates with Honeywell's WAP-PLUS to greatly extend the range of IP security cameras or the ACU analog converter unit (ACU). All wireless communications utilize the 802.11b/g/n protocol with WPS security. WPS (WiFi Protected Setup) is a standard for easy setup of a secure wireless network. The WREX connects between a WPS (Wi-Fi Protected Setup) enabled access point or router (e.g., WAP-PLUS) and wireless client device(s) (e.g., Honeywell Total Connect™ Remote Services IP cameras) to increase the coverage of the existing wireless network. The WREX is for indoor use only. Only one WREX per wireless access point and please remember DO NOT mount this within 4 feet (1.2m) of any wireless device. 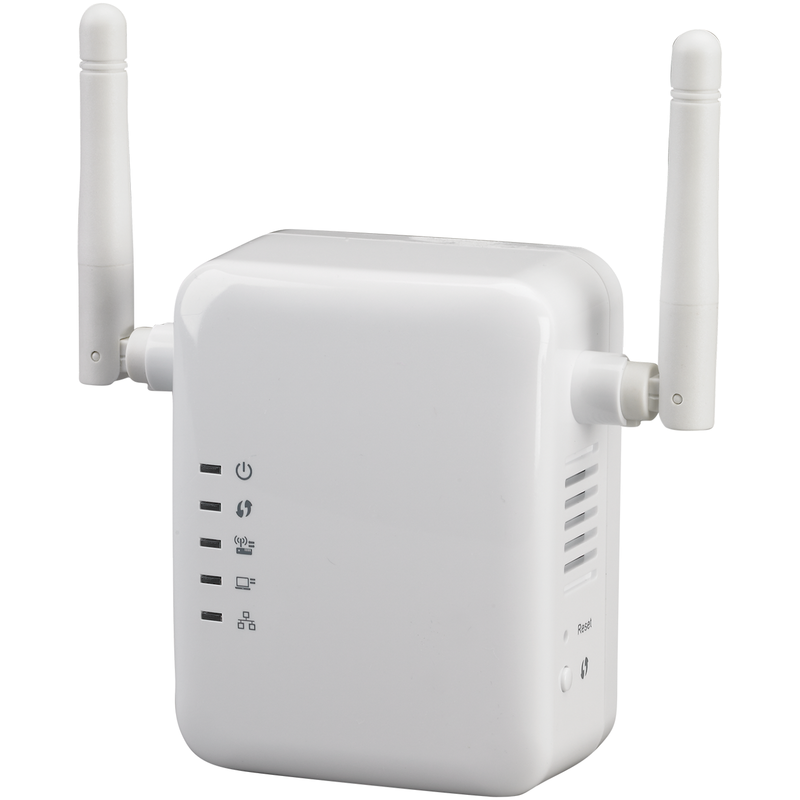 Supports 802.11b/g/n Wireless Standards - The WREX is compatible with the most popular wireless standards. 802.11n, 802.11g and 802.11b wireless devices can be used simultaneously. Bridge Mode for Wired Clients - Connect a wired IP device to the Ethernet port to convert it to wireless. WPS Support - WPS (Wi-Fi Protected Setup) simplifies the process of connecting devices to the wireless networks by using the push button configuration on the device.